A Well-Seasoned Life: Still Enjoying the "Savory Sweet Life"
If you haven't bought your very own copy of Alice Currah's Savory Sweet Life, I think you should. It is an excellent cookbook. Every time I look through it, I find more and more recipes that I want to try. When I finally got the opportunity to do some baking this weekend, I pulled out this cookbook and found two recipes to try. So far, I've only tried the sweet side of Currah's life, but the savory side has got to be good, too. I love to bake and eat pound cake. This one was wonderful! Almond is a flavor that I've had to grow to like. I'm a traditional vanilla extract fan. But, I'm trying to expand my taste horizons and almond extract is part of those horizons. 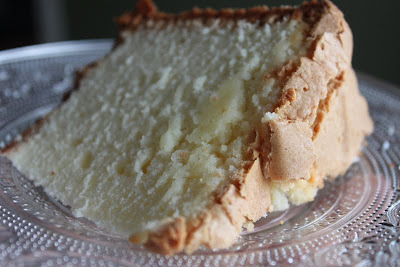 This pound cake had a classic pound cake texture and the perfect buttery crown, my favorite part. It's funny how simple ingredients can come together to form such a rich dessert. These brownies are dense and chewy. I chose to use milk chocolate in my ganache, maybe that's not the classic type of chocolate but it's what I like. I may have been a little generous with the pecans, too, but that only added to the joy of eating these. These brownies need to stay chilled in the refrigerator. One small piece goes a long way to satisfying a chocolate craving. ﻿Next in line for me to try from Savory Sweet Life, Mini Thumbprint Jam Scones and The Best Chocolate Chip Cookies Ever. I'll let you know how things turn out. 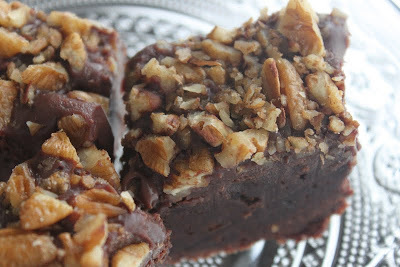 For more information and recipes, check out Alice Currah's blog, Savory Sweet Life. Ganache brownies?!? HEAVEN! 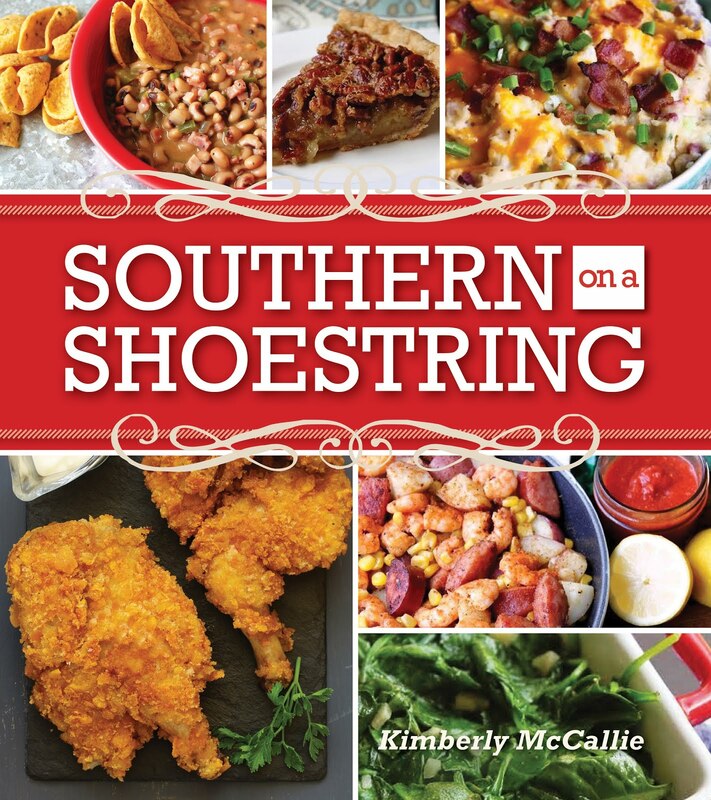 Looks like a wonderful cookbook to put on my Wishlist! Thanks for pointing out some of the recipes! It is a wonderful cookbook and the brownies are almost like eating a piece of fudge, so you get the best of both desserts!